Cushing's with Moxie: Fighting The Worst Disease You've Never Heard Of: My Very Own "CSI: Cyclical Cushing's"
My Very Own "CSI: Cyclical Cushing's"
HAS AN ENDOCRINOLOGIST EVER TOLD YOU THAT CYCLICAL CUSHING'S WAS NEW OR RARE? 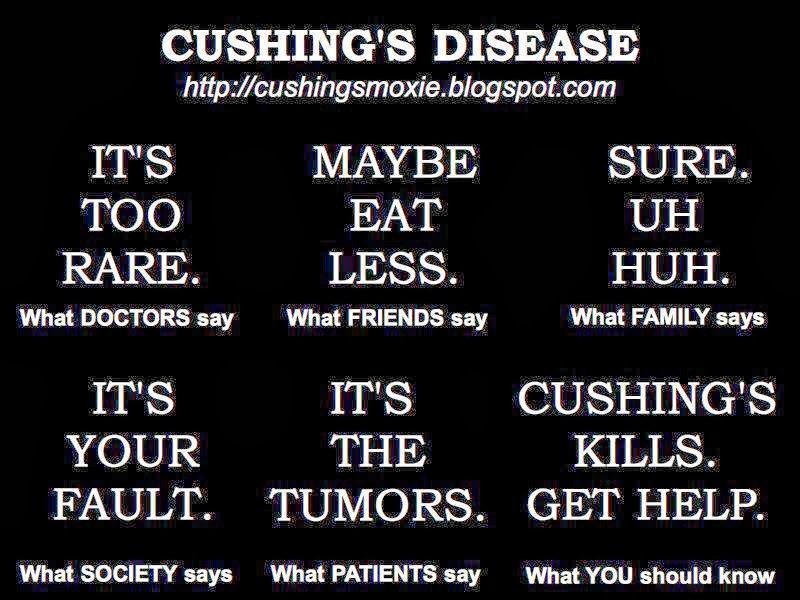 For the past six years or 2,190 days, my battle with Cushing's has been a lopsided fight. As a new patient, I went in totally unarmed, with only my patient history, medical knowledge, lab protocals, medical literature, etc. We all know, facts, stories, labs, and witnesses weren't enough to corroborate this bizarre tale of strange physical deformities and an emotional roller coaster ride. We were completely unarmed against the MDs who stood before us. I have spent my time in the chat room trenches with our Cushie platoon, breaking down all the information, developing hypotheses, discussing theories, and offering help. It's very difficult to move beyond that when we, the patients, have critical information about our peers yet it goes unpublished by our doctor friends in the endocrinology. For example, many endocrinologists I know tell me that cyclical Cushing's is very rare, fairly new, and poorly defined. Cyclical Cushing's is not well understood in the medical literature. Although I respond with a "Well, we have a lot of friends on the message boards with Cyclical Cushing's, so that doesn't do much good for me," it is undoubtedly a conversation killer. My having no come back to that questionable remark about the RARITY of Cyclical Cushing's has always bothered me to the core. Well, I've complained about that before, but TODAY what is chapping my hide is this article I found after a simple Google search for the keywords Cyclical Cushing's. First, you will read in the abstract that more than five cases were cyclical. By the end, there are more. Second, I was really beside myself in a FIT when I reviewed the dates for these articles in the Selected References. I will highlight some below. You will see some medical journal articles cited from 1956 and later. Cyclical Cushing's has been studied and written on 50 years before I sought diagnosis and treatment in 2007. Why did these endocrinologist bozos act like they didn't know anything about cyclical Cushing's? What are these teachers teaching these endocrinologists in medical school? Why did they all treat me like there was just NO POSSIBLE WAY I had cyclical Cushing's and thereby must just be depressed, fat, extra body-haired, bruised, forgetful but rageful person. I am so furious that I always pressed for more information about cyclical Cushing's, and few had a comprehensive answer explaining what we DO know about the matter. Please take the time to read this article below, as my flabbergasted mind and I sit here wondering how these countless endiots could not remember even ONE of the 13 articles referenced in the article alone that studies fluctuating or cyclical cortisol when I questioned them about cyclical Cushing's. Another choice bit: the referenced articles below were published in 1956, 1958, 1961, 1973, 1975, 1976 (2), 1979 (3), 1980, 1982, and 1985. Any one of these show researchers had already discovered the distinct subset of cyclical Cushing's patients and tried to determine the best way to diagnose and treat patients. From what I have seen 30 to 55 years later to the present, it seems that garden-variety endocrinologists and even well renowned pituitary centers have been riding on the diabetes bus (obesity! heart attacks! exercise! insulin!) all the while totally neglecting data that others clearly have shown us so long before. Does anyone coming out of medical school know how to research and prepare a proper literature review? Do they just ignore the clankiness of old articles and focus on single-hospital data studies? I am mean, come on, people! Do I have to do everything? When I cool down, I'll begin to read the articles post below (with links). I am truly interested to figure out who knew what and when. This is my own CSI: Cyclical Cushing's. Five cases of cyclical Cushing's syndrome. British Medical Journal (Clinical Research Ed) . 1985 November 23; 291(6507): 1453–1457. 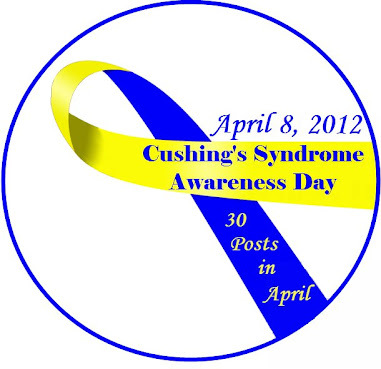 Reported cases of cyclical Cushing's syndrome are rare. Of 14 successive patients with Cushing's syndrome nine collected sequential urine samples for the estimation of cortisol:creatinine ratio. Five had cyclical Cushing's syndrome while two had considerable variation in urinary cortisol excretion without a cyclical pattern being established. Two of the five patients with a cyclical syndrome had paradoxical responses to dexamethasone. In only one patient with a cyclical pattern did the cortisol:creatinine ratio fall after treatment with bromocriptine or cyproheptadine, or both. The high incidence of the cyclical form of Cushing's syndrome has important clinical implications. A high index of suspicion of the syndrome is required in patients with symptoms or signs of Cushing's syndrome but with normal cortisol values, in patients with fluctuating cortisol values, and in patients with anomalous responses to dexamethasone. Because of possible variations in steroidogenesis the results of drug studies in Cushing's syndrome must be interpreted cautiously. Full text is available as a scanned copy of the original print version. Get a printable copy (PDF file) of the complete article(989K), or click on a page image below to browse page by page. Links to PubMed are also available for Selected References.